Is it cold there? If the answer is yes, you’re in right place! 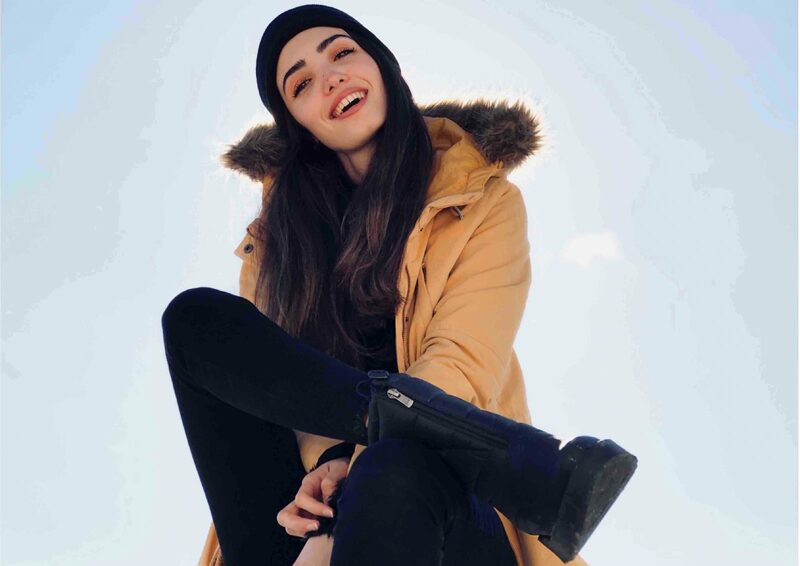 Let’s make a small chat about the most functional winter accessories: Hats! 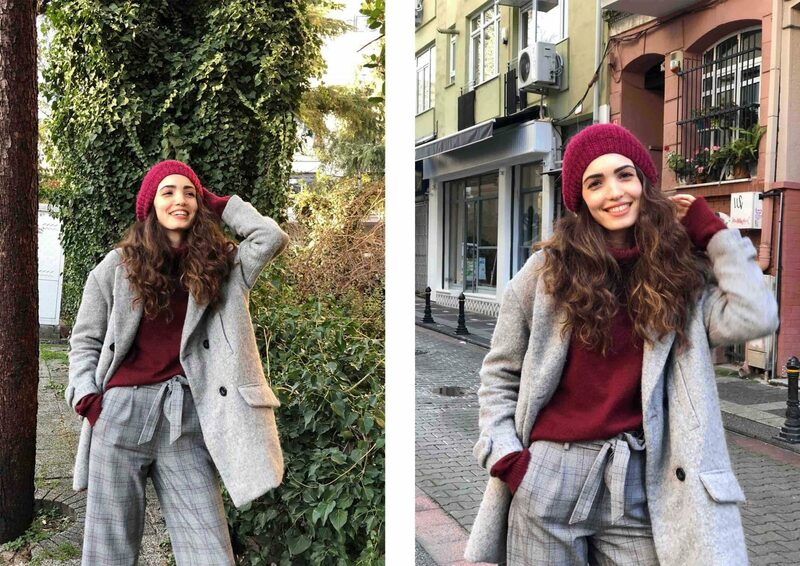 When it gets cold, we start to wear mostly dark colored clothes. However, colorful hats are a perfect opportunity to give a color and energy to our outfits. 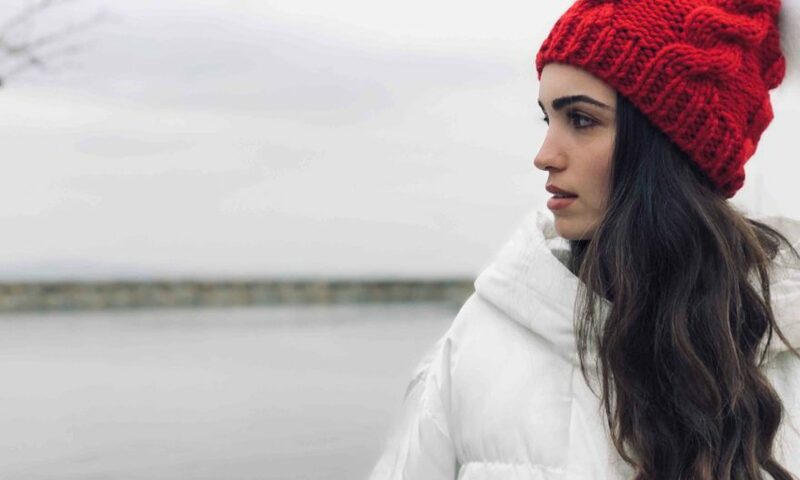 If you don’t know anything about 2019 winter hat trends yet, you will be a little shocked when you see it. 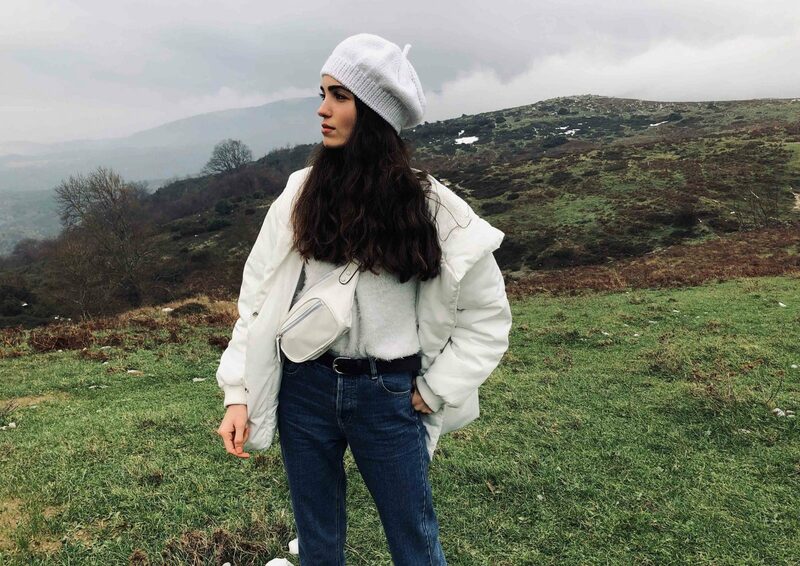 Because there are some interesting hat trends like beekeepers hats, but I chose ones that will easily adapted on street style. 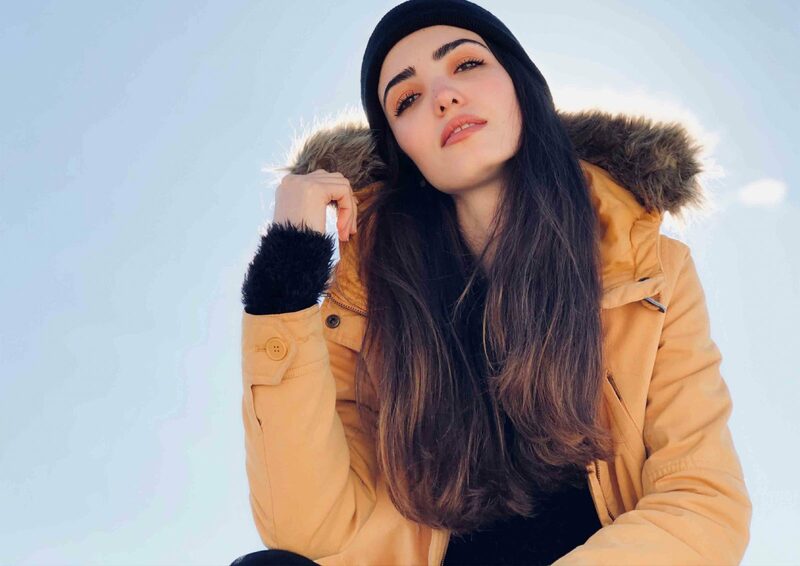 You can check out 2019 winter hat trends from the link below, after reading my article of course! 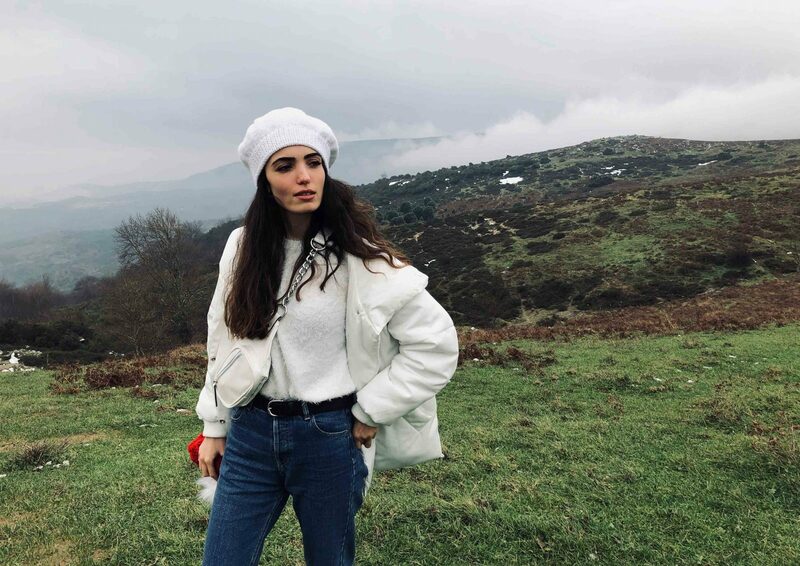 As I said before, I chose my favorites from 2019 winter hat trends and going to show you how I match these hats with my outfits. Let’s start with warmer ones: knit hats! 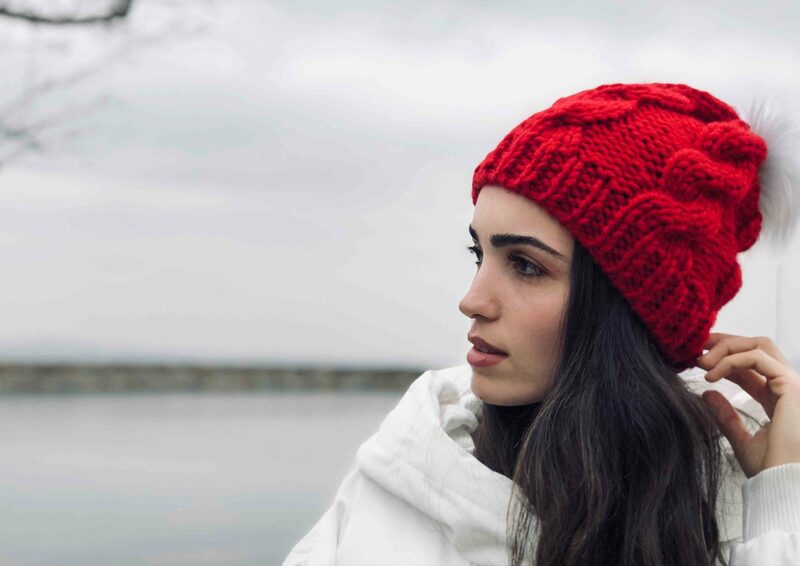 Of course, 2019 winter hat trends include knit beanies. They are not something very new but the most functional ones for the cold weathers. You can keep your head warm and look stylish with a bright colored one like mine. Buying a red,yellow or orange hat like this can be a good option for this dark winter days. I prefer to combine it with my white puffer jacket and they look so stylish together. I like this color combination very much! 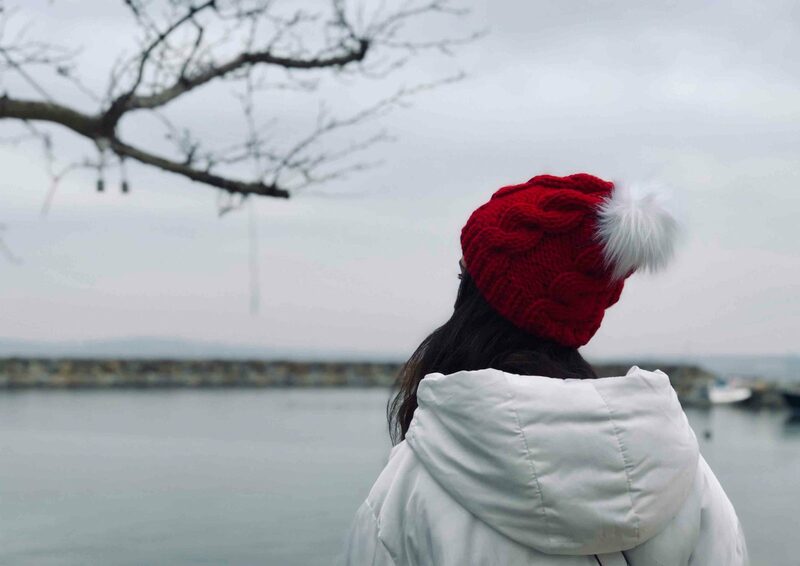 By the way, this cute red hat is designed by me according to 2019 winter hat trends. It is a hand knitted hat made by my mom. As you can see from the photos, I added a white pompom on the top of this cute hat. 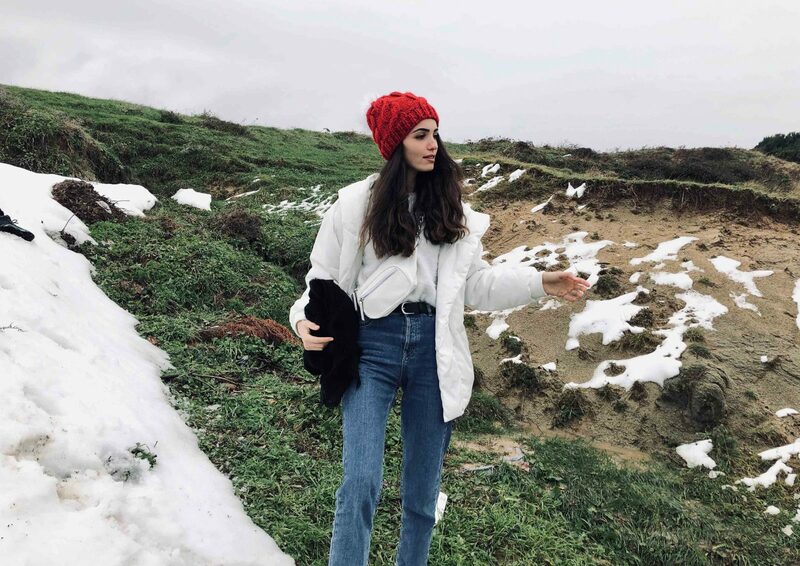 I want especially a white pompom for this red hat because of my white coat. They look very compatible together. In my opinion, colorful hats are better than dark colored ones but sometimes I need them. If you wearing a bright colored coat, you can prefer to wear a black hat for this look like I did. I think that, black looks so good with yellow! And a small suggestion, it will be better to straighten your hair if you are wearing this kind of tight hats. 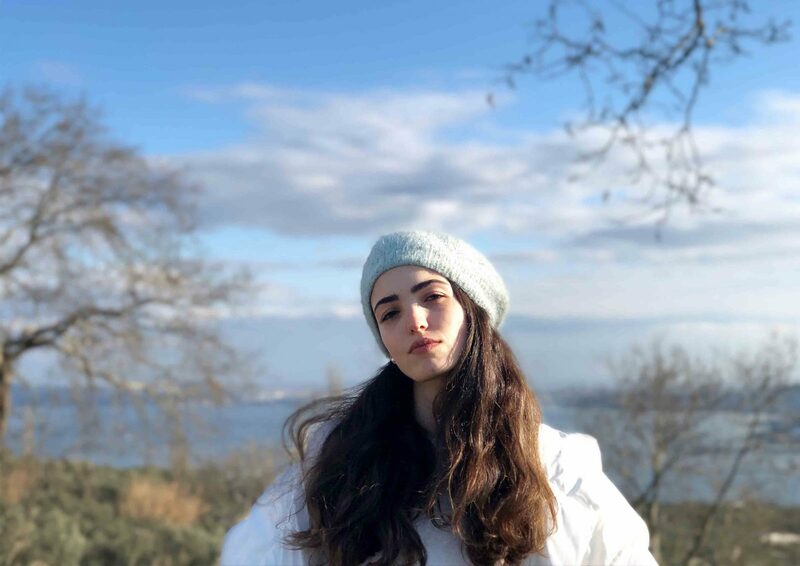 This kind of plain hats are also took place in 2019 winter hat trends. You can find them in varied options. However, a plain black one can be very functional. Here is my favorite ones from 2019 winter hat trends. French berets are very popular this season. If you still don’t have, keep reading. Because I’m going to show you my favorite three french berets. Firstly, I want to start with this white hand knitted french beret. Here is another design of mine according to 2019 winter hat trends. As I said before, french berets are very trendy this season and matching this trend with white, is looking awesome! This year, I’ve started to buy everything in white because they look very cool. I know, it is a little bit hard to keep them clean but trust me, you’ll look stunning with white in these cold winter days! Because lots of people prefer to wear dark colored things in winter so you can show your difference with wearing white these days. 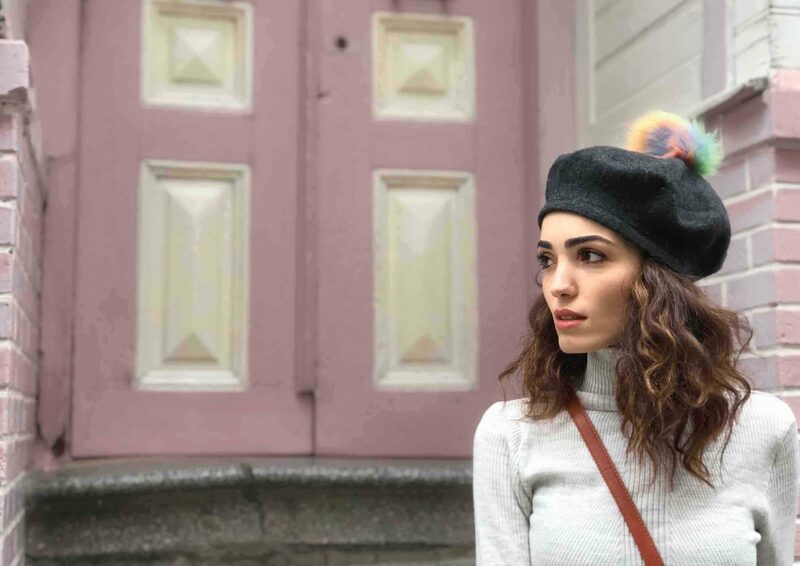 French berets are one of the most popular ones in 2019 winter hat trends. However, I have one more reason to wear them. If you haven’t read my article about it yet, click the link and learn how to get short hair without a hair cut! You know me, I like to wear energetic and colorful things in winter. So this french beret is absolutely what I mean. Because of its colorful pompom, I can match it with my different colored clothes. Here is the third French beret made by soft wool. This french beret is also designed by me. I chose a material which is very trendy this season. We can see lots of tops made by soft wool in popular brands so I wanted to match this trend with my french beret. You can see the result, it looks so nice! Light colors look so good with wool. That’s why, I chose light green for this beret. I complete my look with natural makeup and earrings made by pearls. It looks very romantic! 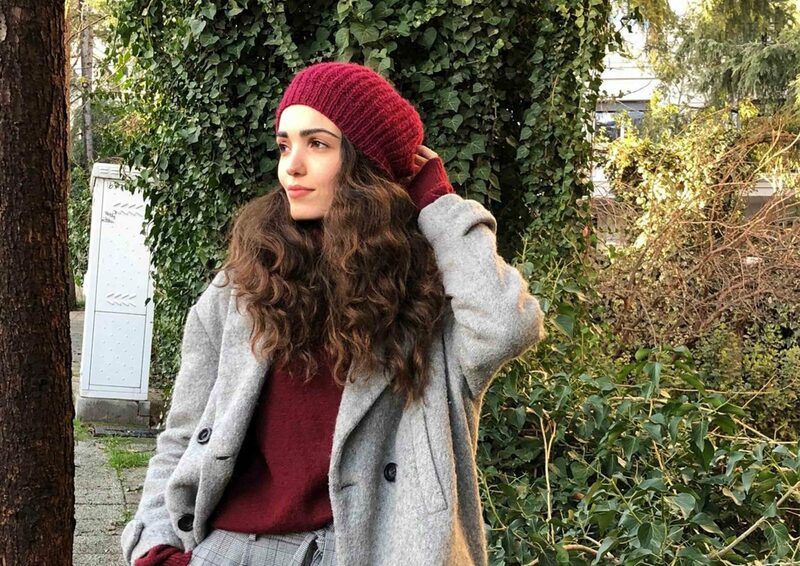 Finally I want to show my burgundy wool beret. 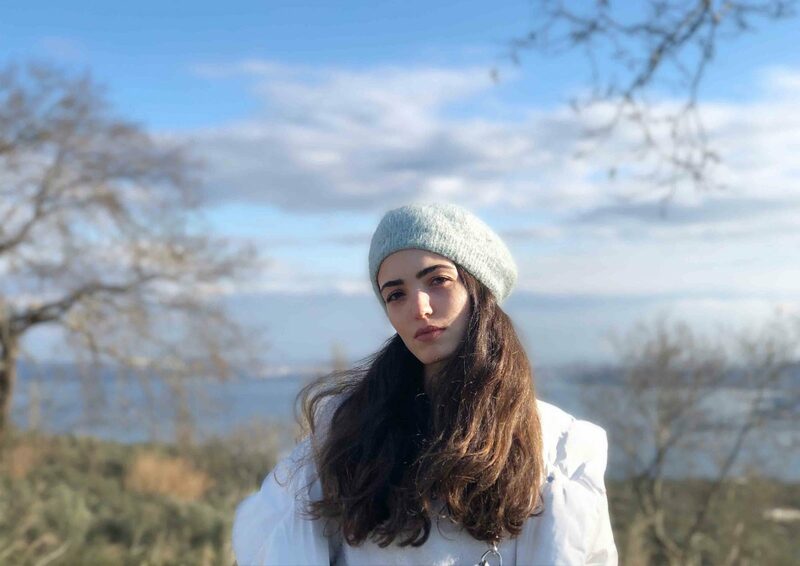 Plain wool berets also took place in 2019 winter hat trends. This one is also designed by me. 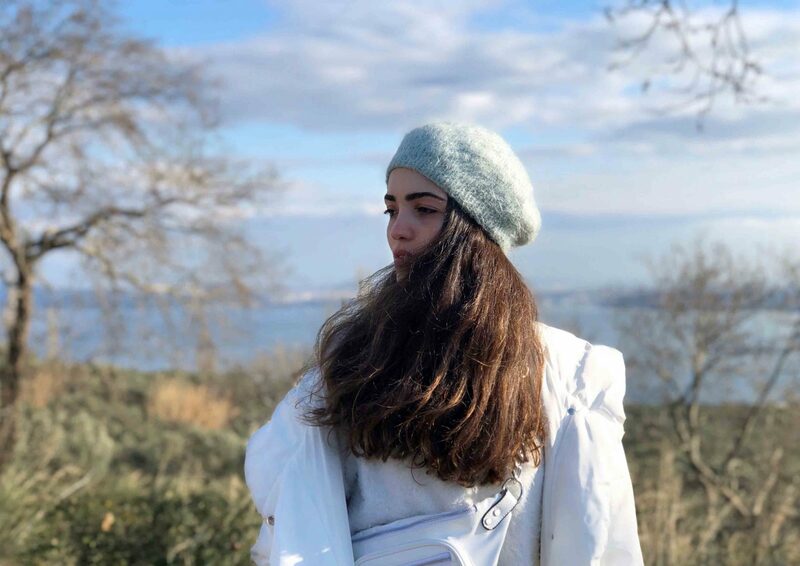 Wool hats can be good option to complete your style and keep your head warm in winter. Especially, this burgundy color looks so nice with gray. 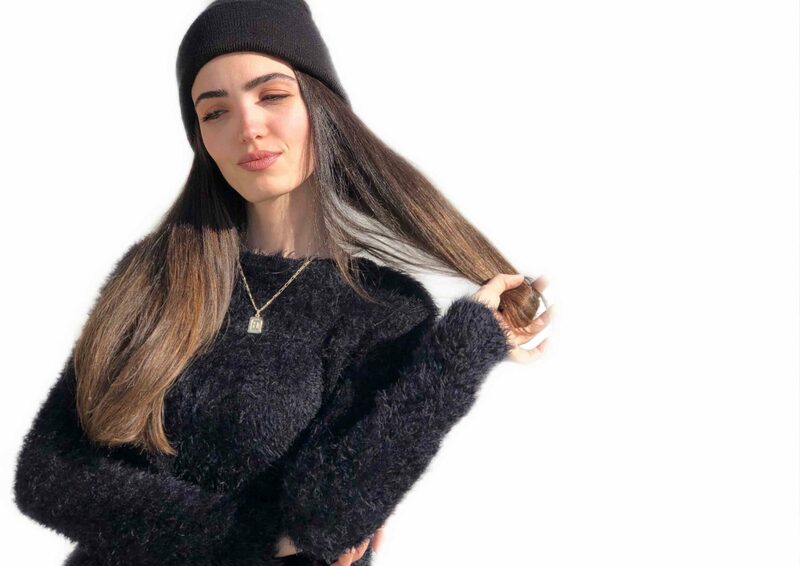 I hope you like my favorite hats that I chose according to 2019 winter hat trends. I wish you all stylish and warm winter days!